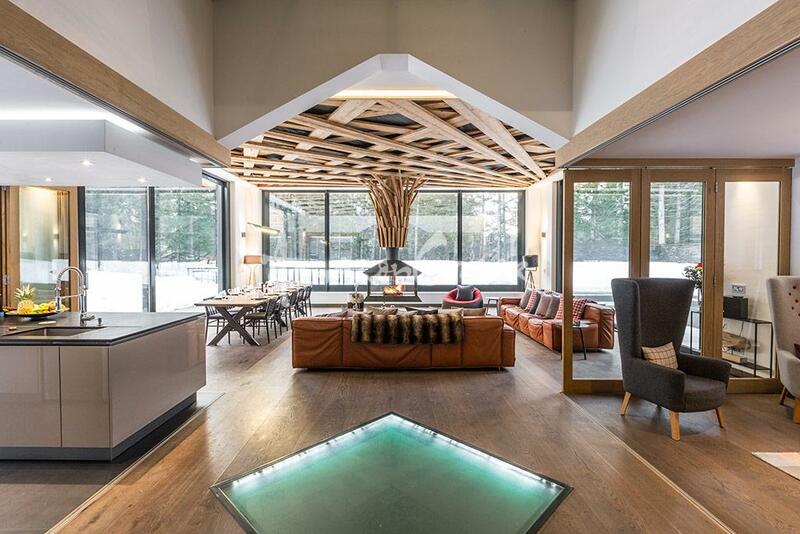 Chalet Dalmore is a modern variation of the traditional alpine chalet. Large panoramic windows surround the vast contemporary living spaces. 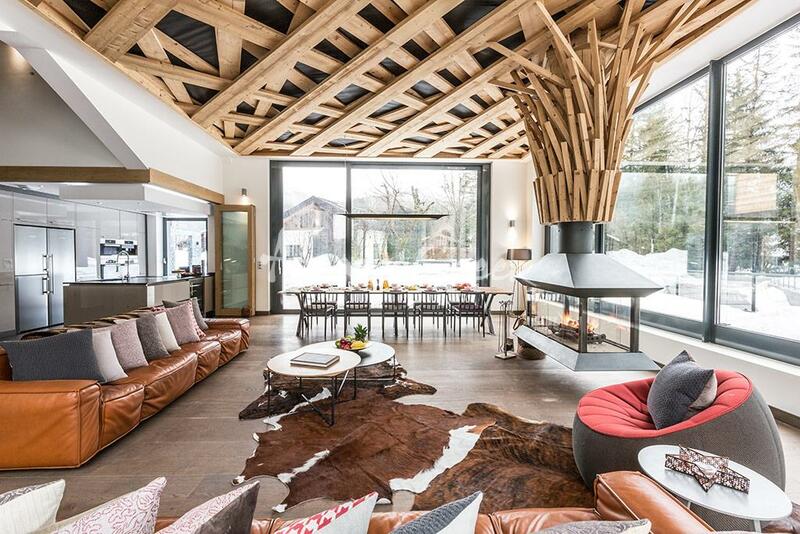 While at the heart of the unique architecture, an open roof terrace offers unparralled views of Mont Blanc. 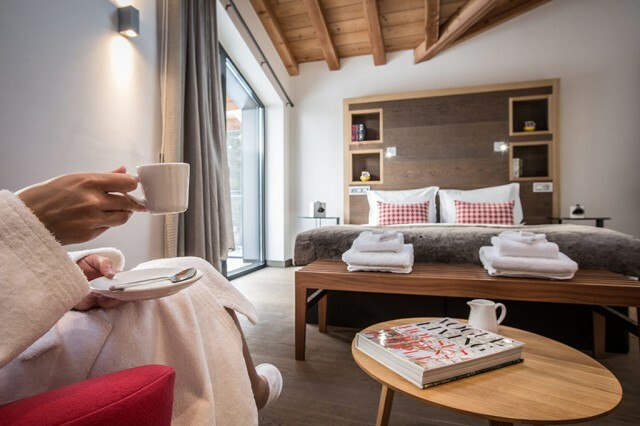 The five beautifully presented en-suite bedrooms boast floor to ceiling picture windows opening to individual balconies, each with spectacular mountain views. Every bedroom is equipped with a plasma smart TV and a wide selection of international channels. 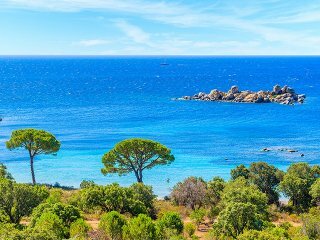 Each en-suite bathroom is supplied with luxurious towels, robes and slippers, plus gorgeous L’Occitane bath products. 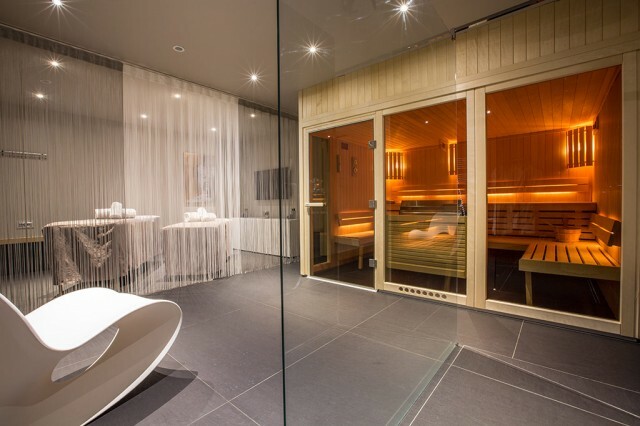 The chalet also boasts a cinema room and a 'TV snug', sauna, relaxation and massage area. There is Wi-Fi throughout and Sonos sound system in the living area. 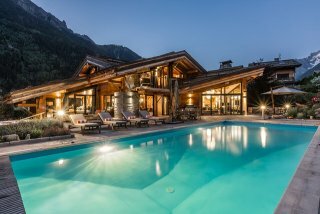 At the exterior of the chalet enjoy exclusive use of the hot tub and outdoor heated swimming pool, operational in the summer months. 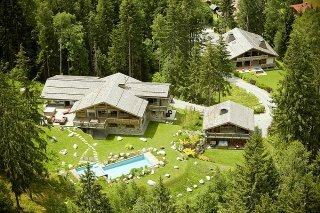 Located on the outskirts of the Chamonix golf course Chalet Dalmore invites all day sun. 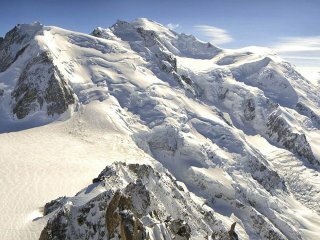 Nestled at the bottom of the sunny South facing mountain side (just a stone's throw away from the Flegere cable car), sunshine, mountain views and proximity to activities are at their peak. 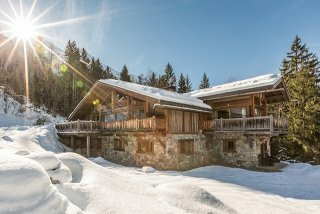 Chalet Dalmore is idealy located for your winter ski or summer vacation in Chamonix! 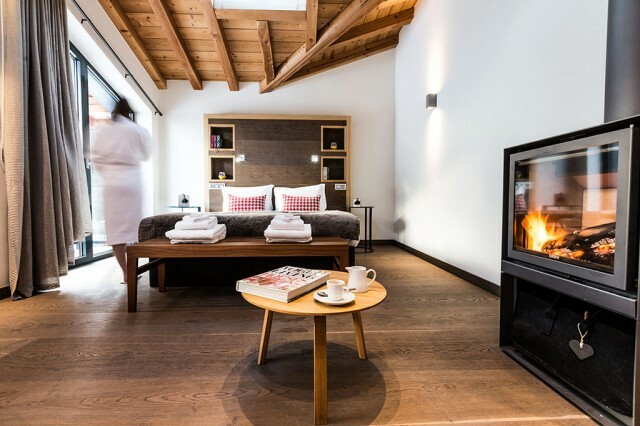 The perfect base for outdoor enthusiasts who want to get the most out of their alpine vacation. 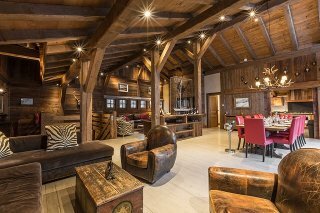 A triumphant return to Chalet Dalmore awaits with amazing facilities to soothe you, after an action packed Chamonix experience in any season. Masseurs offering relaxation or sports recovery massages after a busy day and a variety of beauty treatments can all be arranged at the chalet. Book in advance or arrange these through the chalet manager once in resort. Each bedroom is equipped with a plasma screen with selection of international channels and music docking stations. From the moment you book your luxury vacation with Amazon Creek to the moment you leave, our team are at your disposal providing both pre-arrival and in-resort concierge services. 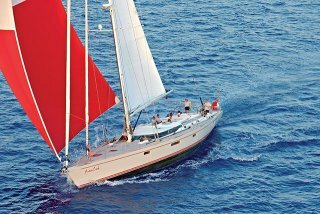 Our excellent pre-arrival concierge service helps you to plan all aspects of your bespoke vacation with Amazon Creek. On arrival you will be greeted by your chalet team. 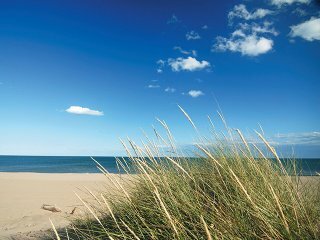 During the summer months, the chalet is available on a self-catered basis, including a welcome hamper and a pre arrival shopping service. 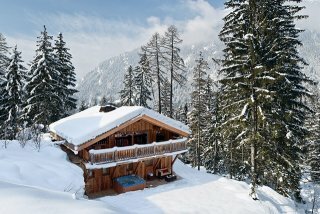 During the winter months, the chalet comes with a private chef. All of our chefs are carefully handpicked to provide you with personal and seasonal menu’s to best suit your needs, and those of your family and friends. Your chef will also be in touch with you before your arrival, so whether it’s family style or formal four course dining, your desires are sure to be served! 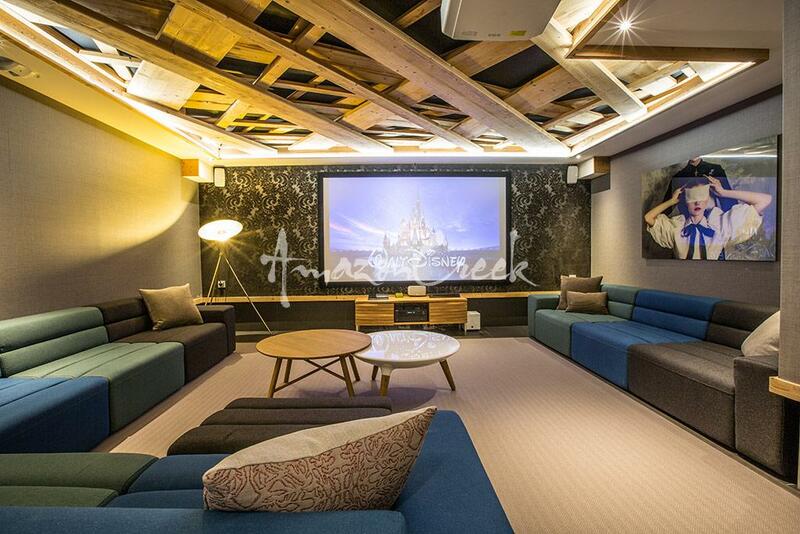 Cinema room, sauna, massage room, boot and ski fitting room, garage. Large living area, open plan kitchen and dining room, tv snug, and terrasse with access to the outdoor heated swimming pool, hot tub and large garden. Double or twin beds, ensuite with a bath and shower, and balcony. Smart plasma TV. 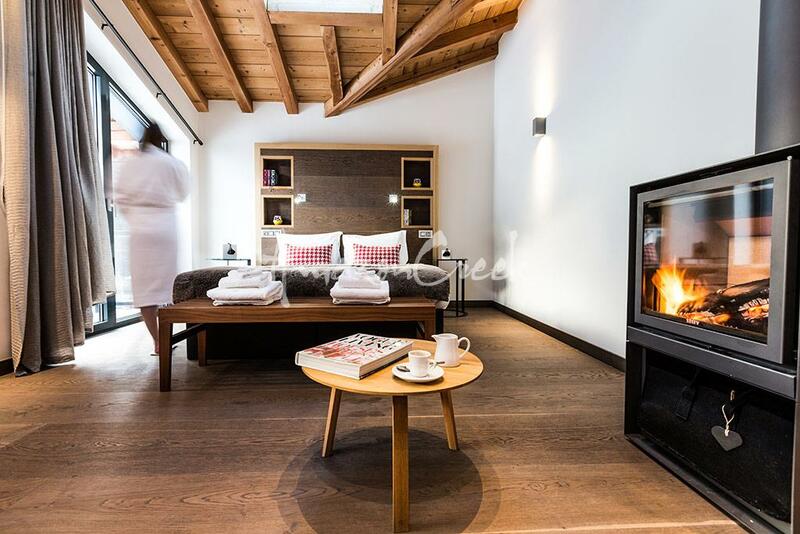 Master suite, double or twin beds, ensuite with a bath and shower, and balcony. Smart plasma TV. 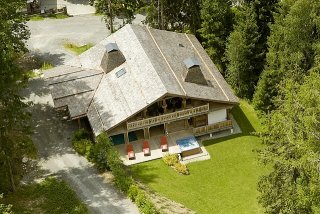 Chalet Dalmore is a beautiful modern chalet, with excellent facilities. 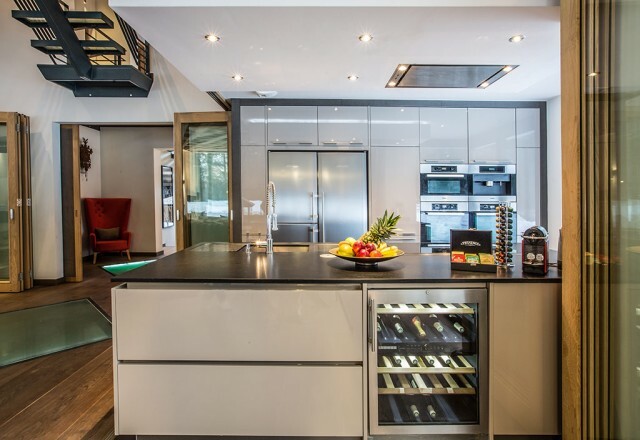 In particular, the main kitchen, dining, sitting room area has two high glass walls giving spectacular views up to Le Dru. The chalet has a cinema room downstairs, which was a great hit with the kids; as well as a hot tub and sauna, which were very popular with the adults. The chalet staff were absolutely brilliant. The quality of the food was amazing, and the cakes provided for afternoon tea were incredible. 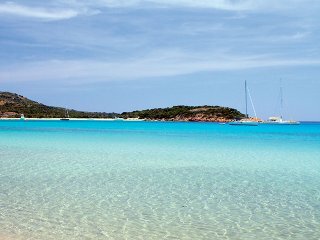 We couldn't fault anything about the week we spent there - it was absolutely first class.